This elegant and easy sauce is a simple way to elevate your go-to roast pork tenderloin recipe. The sweet and tangy balance also makes it a show-stopping topping for baked Brie or vanilla gelato. Melt 1 Tbsp. unsalted butter in a small saucepan over medium-low. Add minced shallot; cook until softened, about 2 minutes. 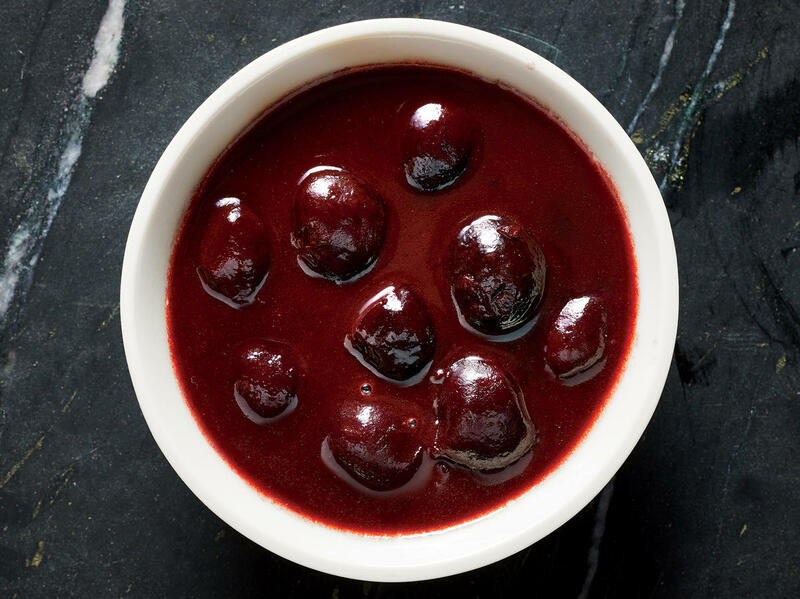 Stir in ruby port, halved frozen pitted cherries, balsamic vinegar, and pure maple syrup. Bring to a boil; cook until thickened and reduced by half, 15 to 20 minutes. Remove from heat. Stir in 1 Tbsp. unsalted butter and kosher salt.